I'm being SO lazy over here today!! But...it's Friday, so that's ok, right? Shay and I are in our pajamas, sipping coffee, (I'd still consider myself a coffee newbie, but I'm falling in love!) and we're talking ALL things GIRLY!! Make sure you hop over to Mix and Match Family to see all the fun stuff we're chatting about today. Monday, I blogged about Ebby Lee's 5th (still can't believe she's that OLD!!) birthday party. Check out all the details from her party here. On Tuesday, I shared the top three ways we teach our kiddos about Easter. 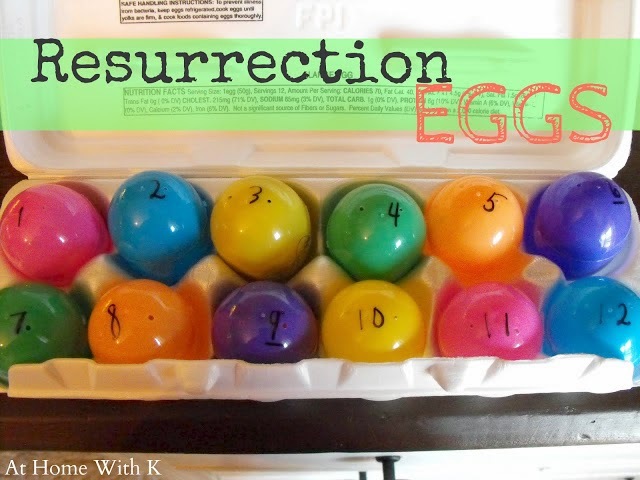 The Resurrection Eggs are my kiddos very favorite activity to do this time of year. Check out the other ideas here. Every Wednesday I share the outfits I wore for the week in hopes you get a few new ideas! Check out this week's "What I Wore" post here. Thursday, I blogged The Slaughter House-Easter style. Check out our Easter tour here. Thanks for stopping by today. Hope to see you again soon!! Have a GREAT weekend!! I just read your pajama party post and you girls are so fun! I can't believe your kiddos are 12 months apart :). And thanks for the Easter egg idea...I'll try with Beckham in hopes he starts to understand. FYI, your fireplace looks great. Not sure if u blogged about it but love the decor! Loved learning more about you at the PJ party! !